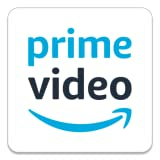 [dropcap]I[/dropcap] did not wanted this to happen, but I must admit that “Batman v Superman: Dawn of Justice” has let me down. I remember when “Man of Steel” debuted I had my doubts as well. At first, Warner effort to bring back Kal-El to the movies in a format just like the Christopher Nolan’s “Batman” trilogy, couldn’t convince me. Its dark photography didn’t seem right for such a character and in fact, there were a couple videos on the web that showed off how would have looked if they haven’t kidnapped its shimmering colors. Nevertheless, the important thing was that i enjoyed “Man of Steel”, which knew how to mix the intensity and the emotions. Definitely: I was pleased. When they spoke about the continuation of the movie, the idea of bringing another DC mystic character to the story immediately came up. Warner wanted, not just that Batman came back after “The Dark Knight Rises”, but it wanted to face Marvel once it for all. How? Trying that this continuation could become the starting point for the first big screen adventure of the Justice League. The result, from an artistic point of view, its full of ups and downs. 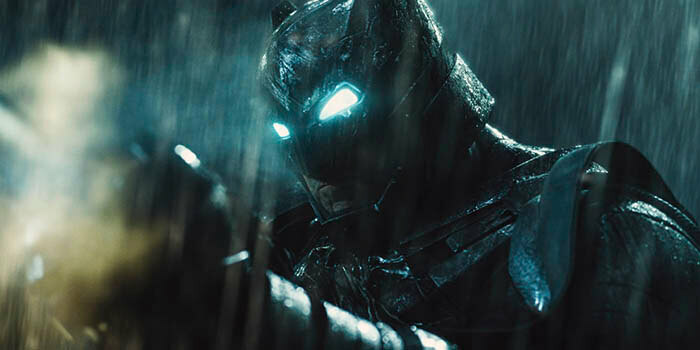 Why “Batman v Super: Dawn of Justice” is a letdown? During the opening of “Batman v Superman: Dawn of Justice”, we got to see once again how Bruce Wayne parents were murdered in front of the young one. This fragment it’s not really well filmed and it doesn’t shock the audience (different to what it happens in the TV series “Gotham”). Nevertheless, at the end we understand its inclusion, because its deeply related with the story (probably one of the best of all, which show us the humanity of our main characters and how much they have in common). Then we contemplate another flashback. Bruce Wayne is back at Metropolis, just as Superman faces Zod and destroys a good chunk of the city, killing thousands. It’s an amazing fragment that links, even when being apart, both characters and it becomes the starting point that without doubt is the most interesting premise of “Batman v Superman: Dawn of Justice”. After such a wreck, Superman is truly a savior or just an alien of incredible power of whom to be afraid of? This part does not get developed deep enough, because the writers rather kept an argument about the search of Kryptonite. A rather weak plot line that, by the way, it is based on a succession of short scenes. And this is because we must be introduced to Lois Lane, Lex Luthor, Alfred, Diana Prince, Wallace Keefe… Definitely, it turns into more than a puzzle in which they try to fit all these pieces, it ends up looking like a plain hotchpotch. But, of course, to hide the fragility of the script, Chris Terrio and David S. Goyerhave no other occurrence that give to the text a false transcendence. This makes that for a good half of the movie, barely anything happens! In fact, the first encounter between Batman and Superman it’s really short, being clear then that the most intense combat was saved till the climax of the movie. Its two and a half hours could have been shortened easily. But even then, there are still a few elements that do not work in “Batman v Superman: Dawn of Justice”. The way in which Lex Luthor fulfills its purpose it’s ridiculous, leaving us shocked on his skills to manipulate Krypton technology. About this, I think Brainiac would have fit better in the story. And the cameos of the different characters that will join the Justice League in the future couldn’t be more forced. If we keep adding up these small letdowns, it’s not a shocker that, all together, it barely makes it out with an “ok”. Even the action sequences, except the one we talked about in the beginning of the movie, cause some indifference, mostly because of the craze of director Zack Snyder of using short shots or rough camera movements. Maybe he believes that, with the introduction of a few winks to the comic frames, was enough to please all the Batman and Superman fans. And what to say about cast? 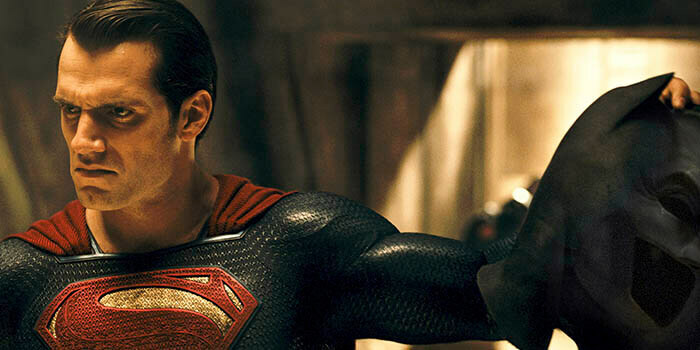 Henry Cavill gives a lot of spotlight to an Ben Affleck who is superb in his Dark Knight role. I must admit that i wasn’t fan of the idea about him playing out Batman, but, if the movie fails, it’s definitely not his fault. Also, I’m happy to confirm that Amy Adams has a lot of presence in the plot, because I was afraid that, with so many different characters, she would have to remain confined to several sporadic appearances. 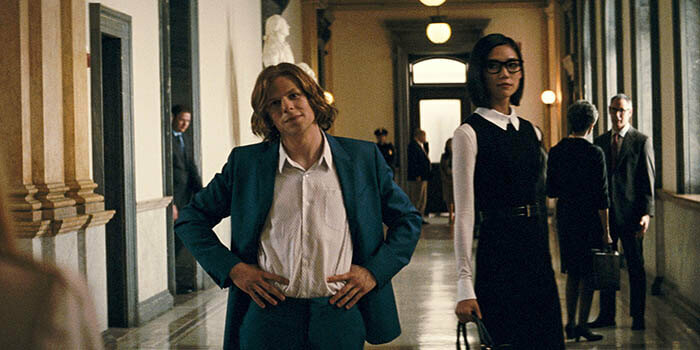 Jesse Eisenberg is by far the worst actor of the film, being an annoying histrion and giving life to an Lex Luthor who feels like a relative to the Joker. About Gal Gadot, she seems like a fragile Wonder Woman, not to mention that I do not buy her appearance in “Batman v Superman: Dawn of Justice”(but this is not her fault). Jeremy Irons does a good job as the butler Alfred and it has the luck of having good dialogue lines. This being said, I hope that this will get better with the next releases, because among other things, if this doesn’t happen, MARVEL will keep the superhero movies throne. And competition is always necessary (at least when it’s a good one, which is not the case of “Batman v Superman: Dawn of Justice”).